There are a few companies that can do no wrong by me. Dwell Studio is one of them. I just eat up everything they come out with. I think their patterns and fresh take on colors are just genius. Their look is modern, yet somehow classic and timeless. The downside is...they are definitely not cheap. So, I was so excited to see them come out with their new Vintage Collection. Funny... new, vintage... what an oxymoron! :) They brought back some of their classic and favorite collections from the past 10 years and as they put it, "bring back the price tag from 10 years ago as well." Woohoo! 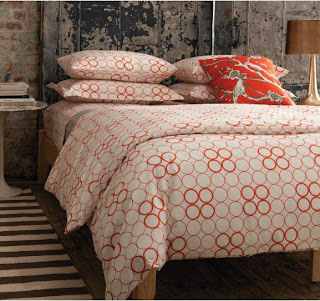 Here's their Trellis Dove Duvet Set from the Vintage Collection for $150. Not bad for a duvet and 2 shams. 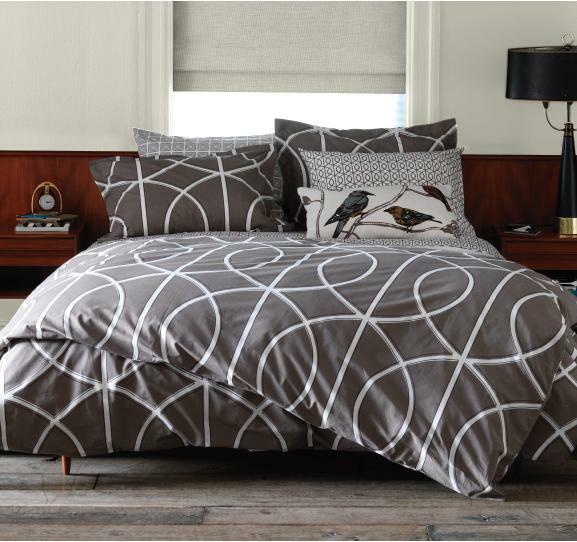 Here's their gorgeous Gate Ash Duvet set from their current home collection for $280. So, if you really love Dwell and want to get the look more affordably, check out their Vintage Collection! It's gorgeous! PS... Tomorrow is the last day to enter my Vinyl Decal Giveaway. I'll be randomly picking a winner tomorrow night at midnight and posting the winner on Friday!